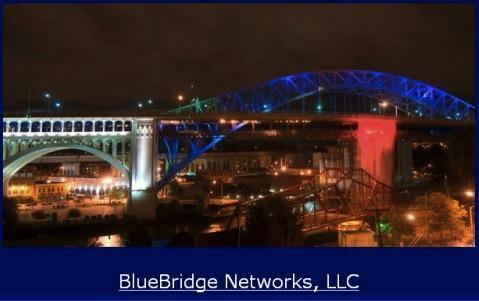 As part of the BlueBridge Network (BlueBridgeNetworks.com - @BlueBridgeLLC) Customer Appreciation Series, the Economic Growth in Cleveland event took place on Thursday, September 13, 2012. 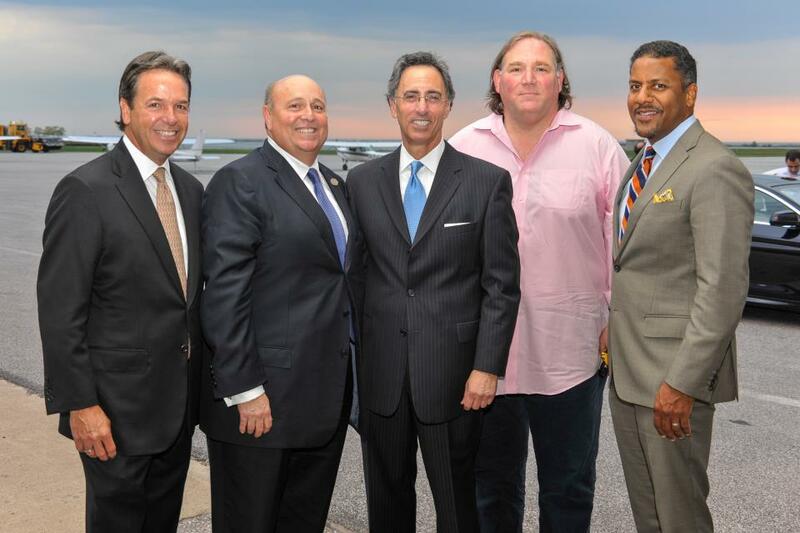 This annual event, hosted by BlueBridge Network's Kevin and John Goodman, was the annual get-together of tech and business people on the tarmac at Burke Lakefront Airport. While delicious hors d'oeuvres and cocktails on a pleasant September evening were the lure, the real hooks were the networking opportunities and the great speaker lineup. With John Goodman serving as the emcee, attendees heard from Ivan Schwarz, Executive Director of the Greater Cleveland Film Commission; Brian Casey, General Manager of the Cleveland Medical Mart; and Craig Boise, Dean of Cleveland-Marshall College of Law. Ivan Schwarz talked about his efforts at the Greater Cleveland Film Commission (ClevelandFilm.com - @Cleveland_Film) to create a new industry in Northeast Ohio. Building on the energy and excitement of last year's Avengers movie, and working with the state's tax credits, he has been able to lure several film projects to Cleveland that would have gone elsewhere. Next up was Brian Casey from the Cleveland Medical Mart (ClevelandMedicalMart.com). He gave an update on the construction and on the conventions and meetings already lined up for when the space opens next year. As part of the update, Casey talked about how visitors are excited to come to Cleveland and see all that we have to offer. The last speaker was Craig Boise (@CMLAWDean), Dean of Cleveland-Marshall College of Law (​Law.CSUohio.edu - @CMLAWSchool). Boise talked about the many changes taking place at Cleveland State University. What started as a commuter school is now becoming a residential university. Old, nondescript buildings have been transformed into dynamic, state-of-the-art buildings. Several new dorms and apartment buildings have been built or are under construction. This is bringing more people downtown to live, and creating a 24-hour city. This creates a positive economic effect all over downtown. In addition to the speakers and the great food and drink, attendees were able to enjoy viewing luxury cars on display from Ganley Automotive Group (GanleyAuto.com - @GanleyAutoGroup), and tour private planes from around the region. Thank you to Al Bell (PhotoAlBell.com - @PhotoAlBell) for sharing his photographs. They help convey the excitement and fun of the event. Please feel free to contact those who are in the photos, and let them know they can view them here. Please also add comments below. Facebook.com/Photo.Al.Bell - Be sure to tag people you know. A special thanks to Jim Evans (@GeekClean) for this guest blog post. Thanks also to Kevin Goodman for inviting us to attend this positive Cleveland event.